Modern medicine is based on the concept of disease. Each disease has its own unique and specific pathophysiology – meaning that each disease has a biological fault that defines that disease and only that disease. Functional disorders (e.g., irritable bowel syndrome, chronic fatigue syndrome, fibromyalgia syndrome) are problematic in that no specific pathophysiology has been discovered, though the search goes on. There are a number of biological abnormalities associated with functional disorders, but they are often shared between the different functional disorders, they are not always found, and they do not uniquely define any particular functional disorder. Fig. 1. Structure of a network of mechanisms discovered through machine learning. Additionally, patients with functional disorders are polysymptomatic and the symptoms of one disorder tend to overlap to some degree with those of another disorder, leading the description of spectrum disorders. Michael Hyland proposed that instead of having a specific pathophysiology, functional disorders are different because they involve a network structure. According to this theory, there are a number of biological, symptom causing mechanisms, but these mechanisms are causally connected so if one mechanism is activated, so are others. One feature of networks is that they can adapt or learn by changing the causal connections between the nodes of the network – this happens in machine learning. Hyland’s theory proposes that the body is an adaptive network and adapts to particular types and combinations of events in a person’s life. 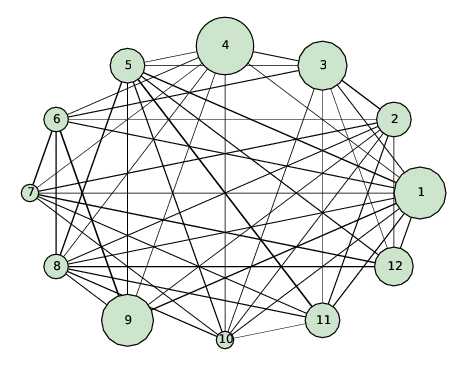 This study provides the first test of the adaptive network theory. The data were obtained through an internet survey of people with irritable bowel syndrome, chronic fatigue syndrome, and fibromyalgia syndrome, all of whom completed the same 61 symptom questionnaire which was specially devised for this study. There was a total of 1751 respondents. A machine learning process was used to analyse the data. Eleven symptom clusters were identified, where groups of symptoms were associated with particular biological mechanisms. The study tested the prediction from the adaptive network theory that the pattern of symptoms of people with different diagnoses becomes more similar as severity increases. This was found to be the case. The values of the symptom clusters between people with different diagnoses became more similar as the number of symptoms increased. 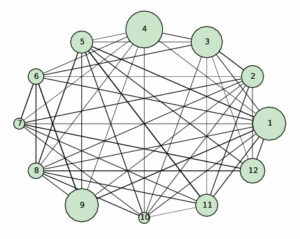 In addition, the researchers found that the strength of outgoing connections between the symptom clusters increased with severity, suggesting that severity is associated with network adaptation. The results from this study can be explained only by a network theory, and not by competing psychological or disease models. The results show that as functional disorders become more severe, not only is there greater pathology in all the different mechanisms in the network, but also the strength of the causal connection between the mechanisms increases. This has implications for treatment. Trying to correct one part of the network may be less successful than treatments that simultaneously target multiple parts. Additionally, reducing the connection strength between the mechanisms could also provide a route for treatment. The multi-component intervention of ‘body reprogramming’ (www.bodyreprogramming.org ) is consistent with the underlying model, but the current understanding of how the network adapts and how to treat it is still very limited. If the theory is confirmed with more data, then the science of artificial intelligence rather than biology may the best way of understanding these disabling conditions that have proved so challenging to science. A test of the adaptive network explanation of functional disorders using a machine learning analysis of symptoms.